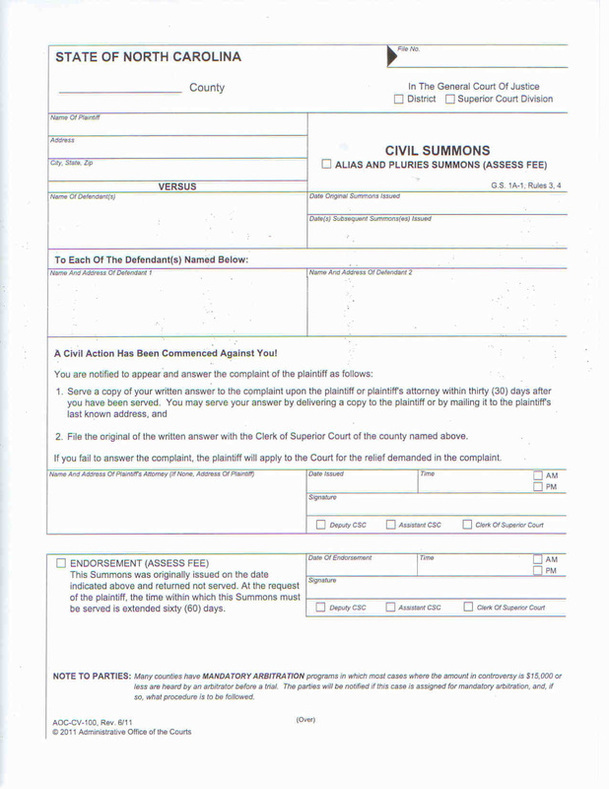 In North Carolina lawsuits are usually served via certified mail or Sheriff. If someone else signs your certified mail or accepts your paperwork from the Sheriff that often counts as service on you. Another option for service is publishing in the local newspaper. If you receive certified mail it is very important to open and read the contents. If you refuse to sign for certified mail, be aware you may be served later by the Sheriff or via newspaper publication. Failure to Answer a lawsuit may result in you waiving rights and the Plaintiff wining by default without there ever being a hearing! Even if the Sheriff says the paperwork he delivers is “no big deal” you should be certain to read everything. 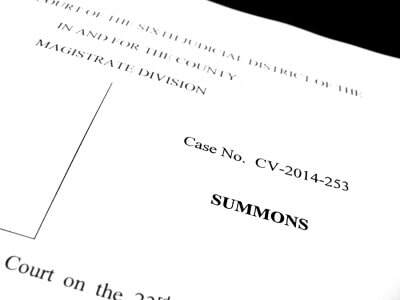 Paperwork from the Sheriff Is almost always a “big deal.” Many consumers never realize they have been sued because they fail to read the paperwork closely enough. Typical cover page of lawsuit.